Many people may tell you that finding the solution to something is the hard part but I say finding out what is wrong is difficult. They say they have mechanics and part changers. Part changers change a bad part but a mechanic knows which part to change, changes it and understands what caused it to need changing. I am going to show you how to troubleshoot problems with your PC so even though you may not be technical enough to change it, you will have an idea what is wrong. First off ask questions just like a doctor does. Find out if the computer has fallen down or been exposed to the elements that may be causing a hardware problem. Also find out if a new hardware device has recently been installed or removed. From a software side find out if a program was installed lately, an update was downloaded or some significant change. This will tell us if a recent action caused the problem and if so reversing such action may be the key to the PC working again. If none of the above helps we move forward with finding out what IS working so we can find out what IS NOT working. The first question we ask if if the computer is coming on at all…any sign of life. If the answer is no then check your power cable to make sure it is plugged into the PC and wall tightly and also plug it in somewhere else in case the socket or the surge protector may be bad. Remember that there is also a chance that the power cable itself may be bad. If none of these are the case then your power supply may be gone. If you open the PC case and see some sort of light or fan action that indicates that the PC is getting some kind of power then it could still be the power supply just not working properly or it could be the motherboard. Overheating could cause a computer to start for awhile then shut back down. A bad switch can also cause a PC to shut back down or not come on. 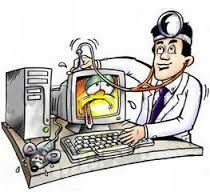 A PC can give a series of beeps that indicate certain faults. Search on google for your model PC and check the beep codes it can help you identify where the problem is. Memory can often cause beeping and can sometime be remedied by removing the memory and switching slots or trying just one to see if the PC would work. If the lights and sounds on your PC seem to be working normally but you are seeing nothing on the screen then you should check your monitor cords to see if the power and the connection to the computer is good. If you can try the monitor with a different computer to see if the monitor is gone. Also try the PC with a different monitor to see if the PC is functioning correctly. A working monitor and working PC but nothing showing up could be a bad cord. If the PC is not working with another monitor but sounds like its still working then the video card may be bad. If you can see either a black screen or a blue screen but you are not getting into Windows, you could still have a Hardware problem but you are in a much better position. If there is a black screen that mentions something about disk then the culprit could be the hardrive. If its a blue screen it could be a hardware problem also bu could also be a driver. A great tool to have is a Ubuntu Linux CD. This CD has an operating system on it and you have an option to try or install. You would choose try because you only want to see if it works. There are instructions on google how to download and load this CD. If the CD works then it means your hardrive or your operating system probably has a problem and you need to focus on them. Never forget luck. Truth is these are machines and sometime you get lucky. Some of the things that go wrong are not permanent so don’t panic right away. Restarting a computer a few times can sometime solve your problems. Restarting it with just the power plug and the monitor plug can be helpful sometime also. The mouse and keyboard or any other devices maybe malfunctioning and causing the problem. If your computer comes up but is slow or only reaches so far or doesn’t do what it use to trying pressing F8 or look online for how that model PC gets into Safe Mode. If things are working fine in safe mode then you know for sure you have a software problem. 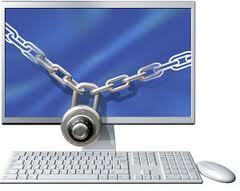 Search google for the program Malwarebytes which is a good virus removal program. If that does not work or doesn’t help much you may consider wiping your system off. If you are in safe mode you can get all of your important data off and save it to a flash drive or something. Then you can search online for that particular model of PC…Factory Restore. It will tell you how to do it and it will wipe off all the data off the PC and return it to the state when you got it out of the box. There are many other software problems that can happen to a PC. By typing in the error message or behavior in google will bring up some possible solutions. This was just a starters guide to helping you troubleshoot PC problems. I hope I was not too technical and I hope it helps.